Amazing score, I'll have to check out the replay as soon as I've got the time! 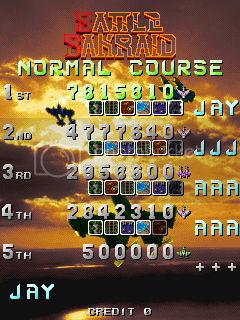 I myself haven't had much luck with this game lately, probably due to my insistence on sticking with Type S until I'm satisfied with my score with that. I'm really impressed with all the new tricks you've been coming up with, makes me feel like I have no idea what I'm doing in comparison. I've been hacking away at this game for a long time, not sure why I'm only now finding all this stuff, gotta have the right frame of mind and believe there are still tricks to find I suppose, and lately I am increasingly a believer. That new Gigamanta trick is nice to know about but it's a total Yagawa-ism, very hard and very dependent on RNG, mostly interesting to have it as an option in case you're overloaded with resources, since you'll be getting extends after Cloud anyway. Such amazing work on this game! Amazing score! Can't wait for the YT replay! I like the "was that death deliberate" game you can play when watching replays like this. Nice run. Last edited by KoopaTGR on Thu Apr 21, 2016 8:36 pm, edited 1 time in total. Last edited by Shepardus on Sat Jul 23, 2016 9:31 am, edited 1 time in total. Last edited by volaju on Thu Jul 21, 2016 6:53 am, edited 1 time in total. My highest score from working on Special Demonstrations #10. Check it out and rest assured, we can go even higher. 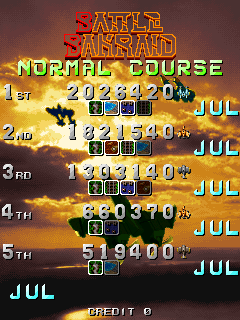 I'm taking a break from pushing for a higher score and getting into playing the game with random unused ships from the roster, just to see how far they can go, which is actually really fun. The only thing really keeping it from being a scoring ship is its low speed, only the possibility of some very good and unexpected setups with its charge attack could compensate for that. Made it all the way to Vampire so not a bad run for a super random ship choice. 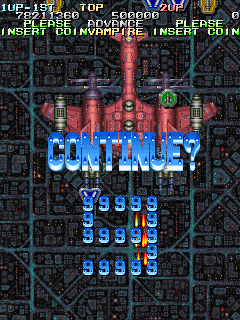 This is actually my first 1cc, scoring or not, with some random ship that isn't Flame Viper. While I still think fast ships have a large advantage (medalling, hunting popcorn with aura) it's obvious that even very slow ships like Saber Tiger can compete at chaining, as this run could easily reach 110m territory. 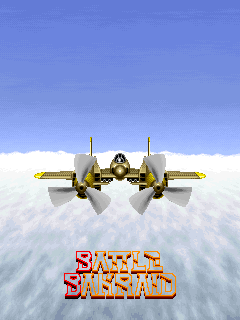 Sadly while both Saber Tiger and Solid Ray have strong firepower, I haven't found any strategies yet that could compensate for their medalling disadvantage, at any rate the slow ships aren't disqualified from being potential WR material just yet. Nice, I haven't watched the video yet but congratulations on pushing the game even further! Why Sky Dragon? Thanks, be sure to check out the medalling in this one. Sky Dragon is the fastest ship that still has good essentials, like a high-powered twin main shot and decent side shot coverage, I prefer it ever since I've started focusing on medalling.